Gentle reader, if you have been following my blog for a while, you’ll recall I had managed to grow a clematis at our city house, only to have my husband “looks like a weed to me” weed whack it. Viola’! 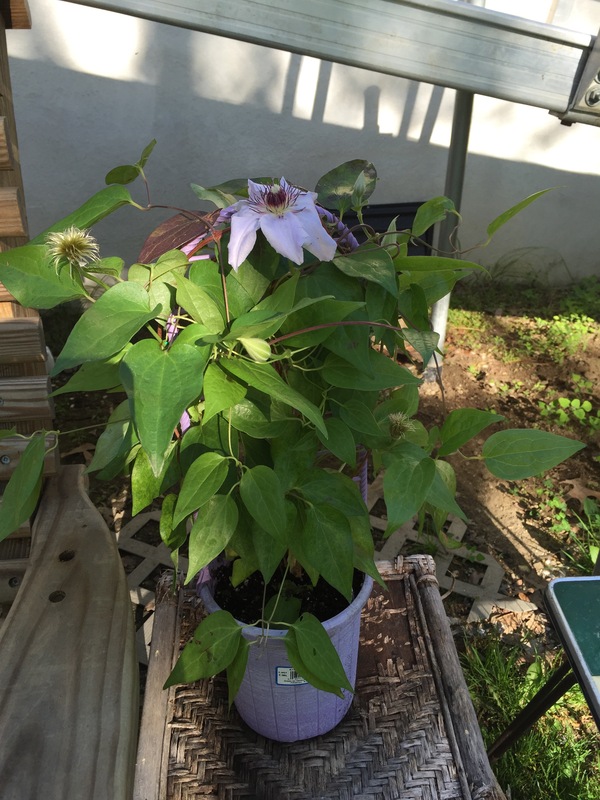 I purchased a more established plant and now just have to figure where I want to put it.I am hoping for a clever spot and training for my old man, who WILL definitely know what a clematis is.